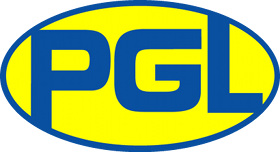 Established in 1957, PGL has been the UK’s leading outdoor education provider. Create life enriching adventures for many school children for many years. This is an invaluable opportunity for children to try a range of adventure activities which motivate, build confidence and encourage development. When & Where Are We Going? Many thanks to all parents and carers who were able to attend the Y5 or Y6 Meet the Teachers and Year Group Meetings this week. As i explained we are happy to be sharing very exciting news with you all on our next Residential trip to PGL, Windmill Hill. The registration process has now opened via ParentPay. We will be holding one more information session for parents who were not able to attend the meetings earlier this week. This will take place on Wednesday 26TH September, at 18:30 in the Lower Hall. Take a look at our 2018 Photos HERE !